We hiked in to the river as the snow fell. The cold didn't slow these two down, though! They were all smiles and had nothing but love for each other! He’s more myself than I am. 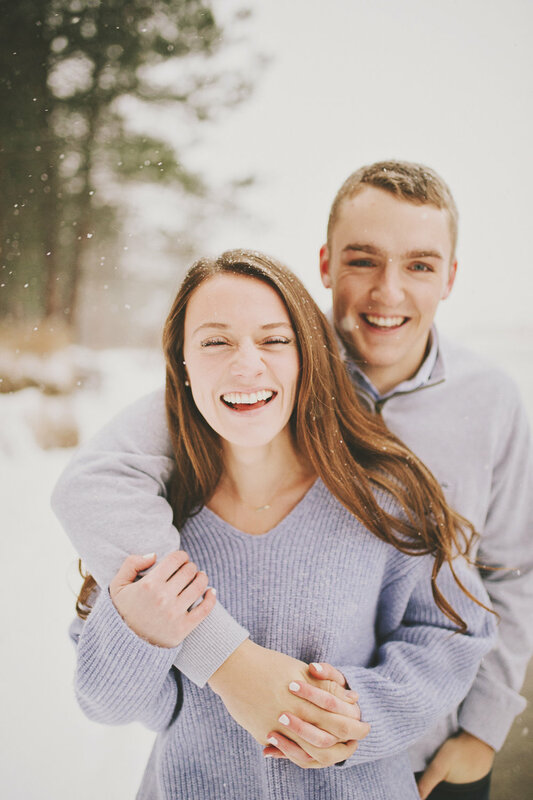 A great way to get a cute engagement photo is to have the couple play around! I love watching my couples interact with each other and have fun! 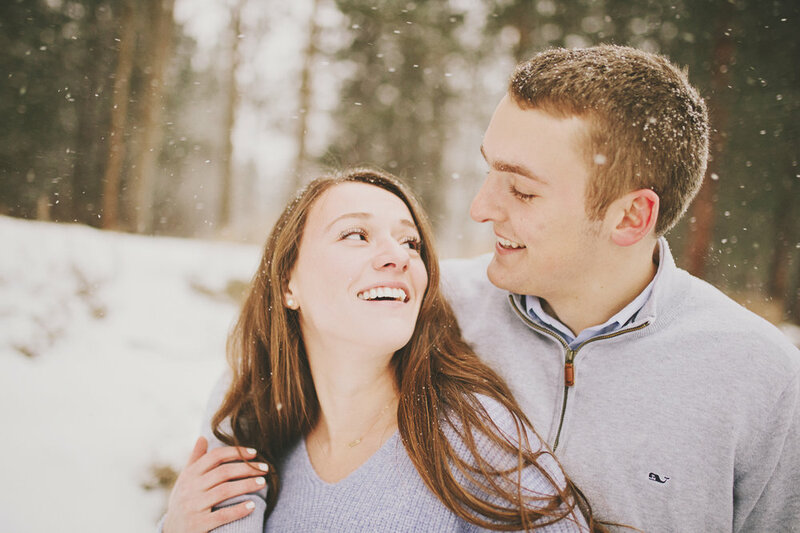 There's nothing better than an engagement photo in the snow! 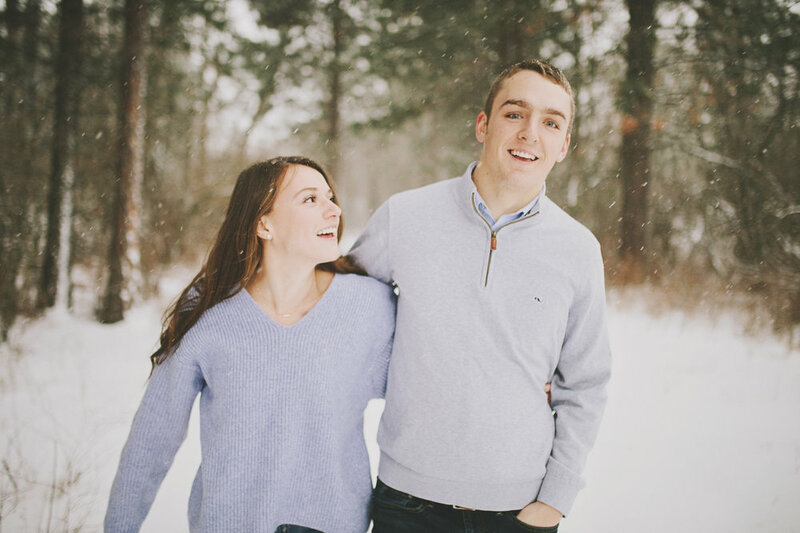 When I asked Tif + Ryan if they were up for an engagement session in the snow, they were on board! It dumped snow on the morning of their sunrise engagement session and I couldn't have been happier. 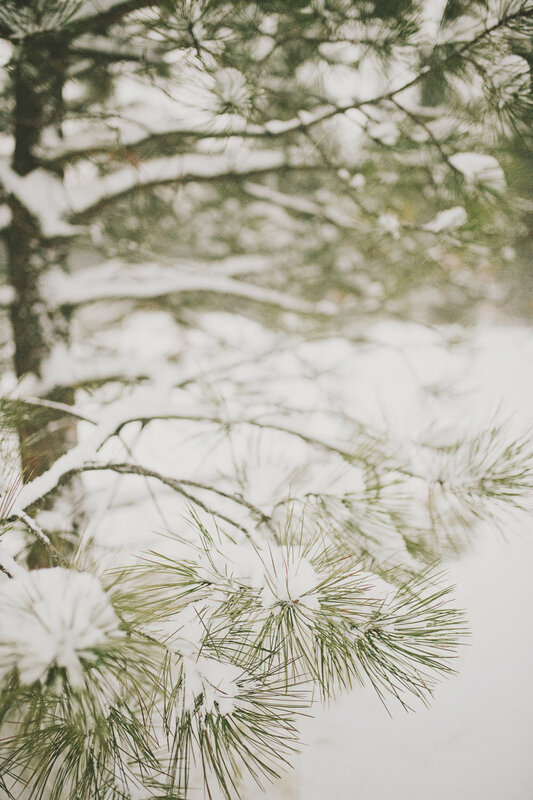 Usually, people don't like to wish for snow, but as a photographer, I wanted a snowy engagement session for these two! 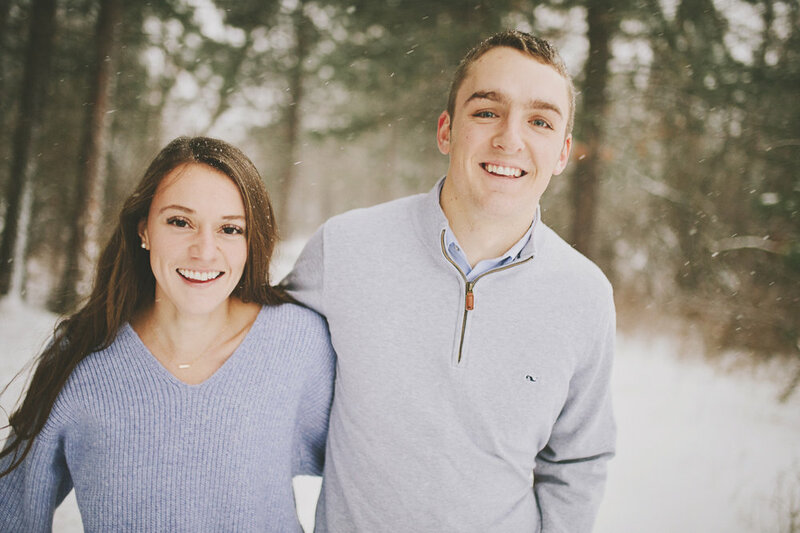 If this is what came of their sunrise winter engagement, I can't wait for their sweet church wedding in the summer! 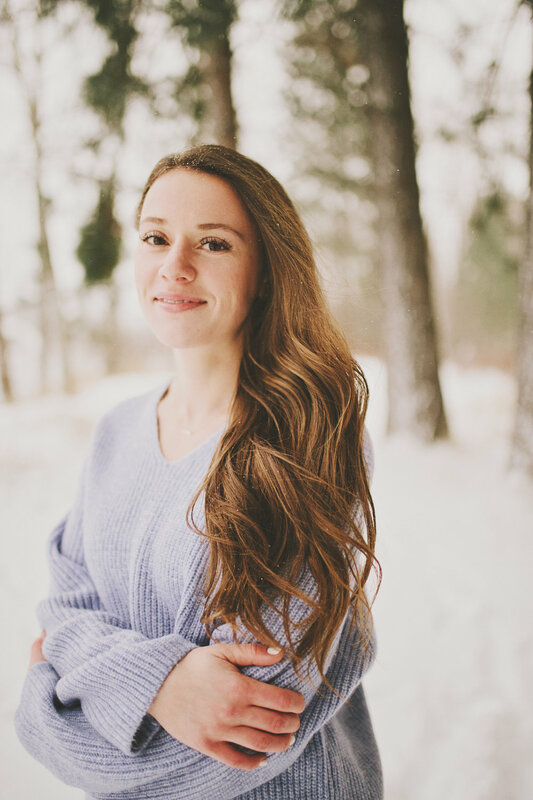 Nothing says a Montana engagement session like romping around in the snow!